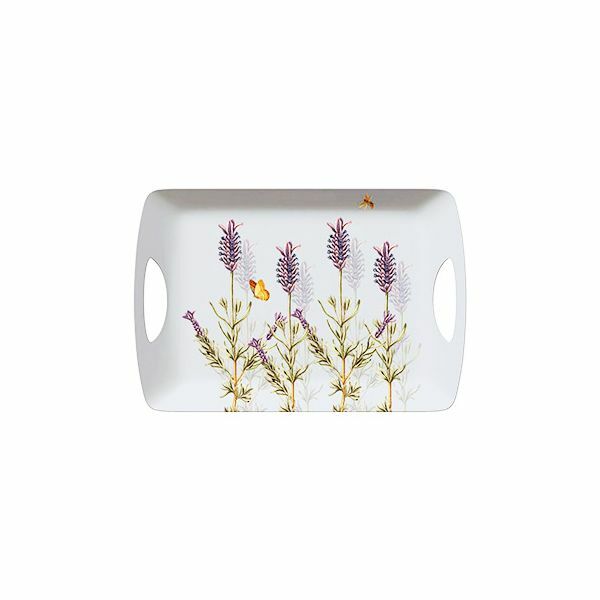 This Large Tray is made from melamine and features The Royal Botanical Kew Gardens Lavender design which highlights the natural beauty and elegance of Lavender. This luxury Tray features 2 large side handles and raised sides to prevent spillages. Dimensions: 480mm x 330mm x 33mm.